I’ve wanted to share this concept with the travel blogging community, and my readership, as a way to motivate other would-be travelers and travel bloggers to get out there and do it and to show that it really is possible. I now earn around $3000 per month from One Step 4 Ward through a series of things and if I can do it, anyone can. 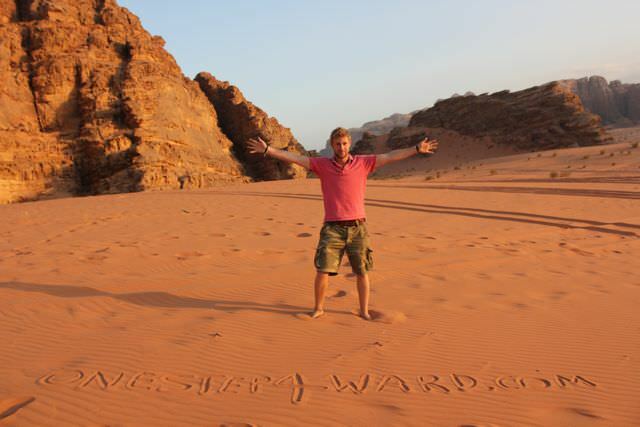 I’ve been toying with the idea for a few months whether to mention One Step 4 Ward’s earning potential in a post or not. The last thing I want to do is come across brash and boastful. 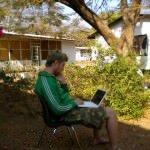 Then I remember back a year or so ago when my blog was getting 10 hits a day and I read Nomadic Matt’s thoughts about a successful travel blog and how perseverance is key etc. I stuck in there, and waited, and stuck in there and waited until, lo and behold, an amazing thing happened and the first advertiser was knocking on my door. That was about 10 months ego, I was in Ethiopia and I nearly hit the roof in excitement. “Some dude want’s to pay me $50 to put an advertisement on my website, wow! !” I shouted, to anyone who would listen (which was no-one apart from my best mate beside me). Less than a year on and I don’t need to work to travel anymore, brilliant. Lots of people email me every week asking how I fund my travels and previously I’d say from savings, from working in Australia, from teaching English but the reality is now I’m a professional travel blogger and I love it. In a further bid for you to understand how possible this scenario is for you too, I want you guys to understand something – my design skills are awful (I have none), my programming ability is non-existent, my writing is decent but I’m no James Joyce BUT I do have a real passion for living my life, for seeing the world and having no regrets. And through some quirky twist of fate, the internet is rewarding that with an ability to generate revenue through travel blogging. So don’t you think it’s time to jump on the band wagon? So if you’ve done a bit of traveling before then get started and when you’re getting 10 hits a day and think “f*ck this”, maybe you’ll remember this post. 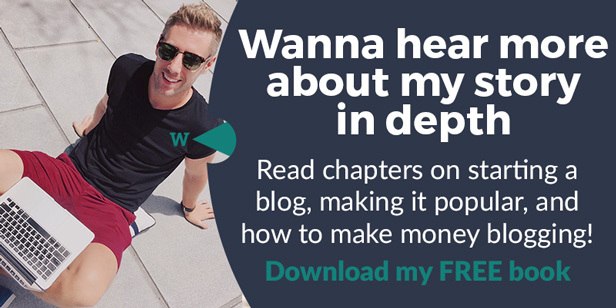 Who knows, in 18 months time you could be location independent, writing a post about how you’re making enough money to live your dreams indefinitely, referencing me and this article as your inspiration, with a redesigned lifestyle allowing you to do the things you’ve always wanted to do. There’s nothing holding you back. Happy Travels. Very inspiring thoughts you shared in this blog, you tell stories that can motivate us the readers to do what we want. Thank you for the great thoughts! Problem is I can’t view your travel photos (?) each time I clicked on it, it takes me to my facebook page. Why is that? Am I a kind of a moron here that I can’t even see your travel photos. Question is. Do you really have travel photos. Or everything you’re saying here are all fiction of your imagination hahahahahaha. I’m gonna post your website in my page and see if my friends say otherwise. very good and inspiring article. I hope one day achieve what you’ve accomplished 🙂 Thank you! I love the way you live. so fantastic! I am stoked about your success!! That’s fabulous you could rocket so quickly with your site(s). I’ve been TORIng America, and haven’t any sponsors, or money/donations, YET; however, I am going to continue to persevere like yourself. You definitely have me captivated in the travel-blogging dream of sustaining ones life while on the road! Likewise, I’ve been following Nomadic Matt…he’s a master as well at this lifestyle. Hope to cross paths one day! 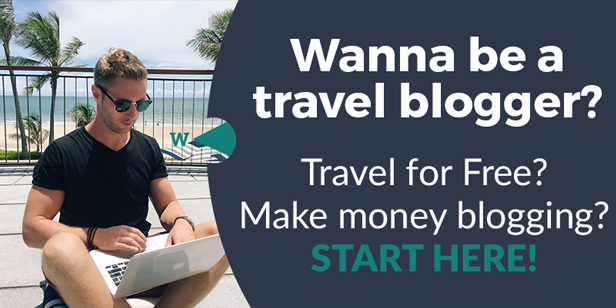 Well, i enjoy reading your blog and it indeed inspired me to start travel and to write a blog. 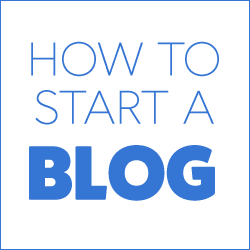 But i got no idea how to create a blog? any recommendation? and i did travel to few places within Malaysia and Singapore but i got no one to share with so i wish to take this opportunity to create a blog and share with people around the world. This is awesome, it makes me so happy that i am not the only one who disagrees with 9-5 , commute on the train , spend all your money living the life people want you to have!!! Shame we missed each other in Barbados but i definitely felt your energy! Maybe we can meet in trinidad at carnival! what do you say? Thanks for the motivation. I’m a new blogger what do you think is the best piece of advice? Wow, US$3000 a month. 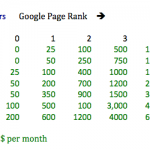 I am earning with my blog but not as much as you do. I am aiming for bigger now and this post is partly responsible to that, Johnny. Hahaha. 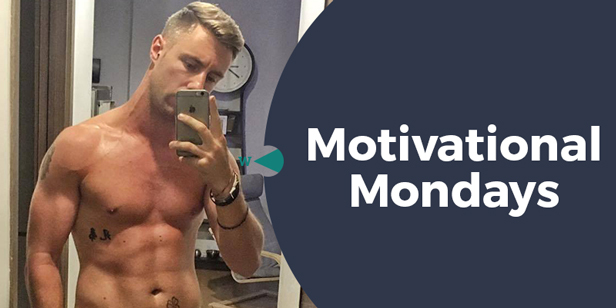 Thank you for you motivation article. Honestly..I’m a new blogger with no experience in SEO, not good in English. But..I must try..and I’m trying. Thank you for motivate me to keep writting and not lose my spirit. Thanks for this motivational post. It certainly perks me up especially when the going gets tough at times. Thanks for the info Johnny. Great site! lots of good insider-info. Cheers for that. Thanks Johnny for this inspirational post. 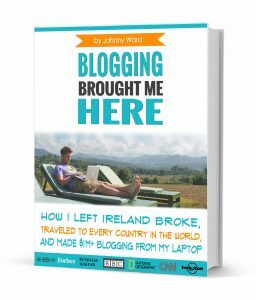 What are your thoughts on single destination blog versus traveling the world (multi destinations) blog? My blog is only about Croatia, and I am wandering if the audience is just too small for this particular destination to make my blog profitable one day. Thanks! I will consider outsourcing some stuff like SEO, although I have no experience doing that and wouldn’t know where to start. Do you have any posts about how you go about outsourcing? Hi Johnny, I just want to Thank you for these posts, you have inspired me to leave it all behind and we are starting our World Travels next year April!! Thanks again and may God bless you. Thanks Johnny, excellent post. Honest and motivating. We think we are on the right track but need a little inspiration every now again. Thanks for providing it this. PS Had dinner with Adam from Tropical Nomad the other night. He spoke very highly of you, and now we are here reading your blog. 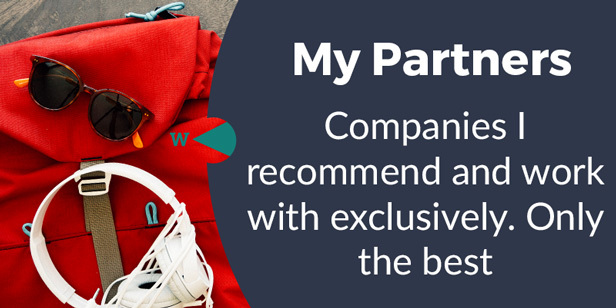 Hey there – how did you find people you were comfortable to outsource to and trust your livelihood with? Thanks! I recommended your site to a friend and he shared this on Facebook, now I read it. Cheers for the inspiration pal, it was a pleasure to meet up with you on your New Zealand adventure. I am waiting on some designers to get back to me to make my design better so I stop trying to be the designer, video maker, writer and traveler! I love this. I’m on 10-20 hits a day and while I’m not thinking “f*ck this” (not yet anyway!) I am wondering how you get past that barrier. I’ve been writing about Australia so far, but I’m moving to Canada soon to work, travel and save for a bigger trip, maybe a RTW. hopefully that will give my blog a boost! Other than that I have no idea how to improve traffic. Wow, this was just what I needed to read today, because the place that you talked about in your post (10 hits a day)….well I feel like I am soooo right there now. Thanks so much for my daily inspiration. I have been thinking about starting a second travel blog, and have been holding off until the first one is a little more established (my blog is a year old now)…do you think that it is wise to jump into a second blog now? Amazing story.. I emailed you. I had some questions. Hope to hear from you, I know you are a busy man! Hey Johnny, pretty inspirational post! I’ve been reading your blog for a while and can’t believe the adventures you’ve had – the Thailand to China via Burma is my favourite, haha. I’m off to NZ again next week to work and see the Rugby World Cup! 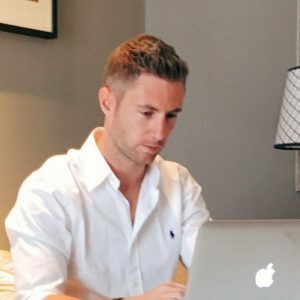 Just wondering, if your programming and design skills aren’t great, did you get someone else to make this website for you, or did you get advice/a web design guide to follow? Have you had to use SEO quite a lot, linking your website everywhere you could? I remember you telling me about this during lunch. I’m really interested in expanding my blog (probably going to go with a different domain name first) and getting some investment in my investment. The hard thing is to know what people are legit and which ones are just trying to string you along. Do you reply to every one that emails you with an ad inquiry? Do you think it is wise to seek out advertisers as well? I was wondering too, should you tell hotels, hostels, etc. that you write about travel for a living?